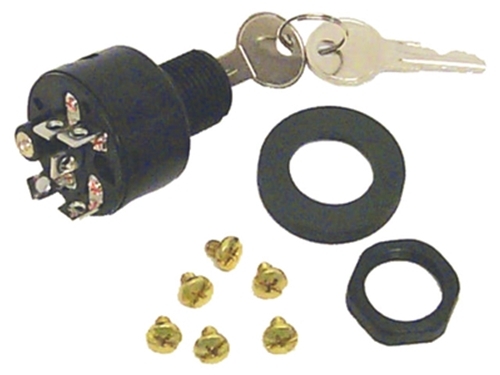 OMC Ignition switch: 3-position Off-Ign-Start push to choke. Switch function Magneto 3-position. Housing type short neck Polyester with 6-terminal boss screw. Replaces: OMC 393301 and 508180.